Ah, snow: You tend to love it or hate it. Or maybe it’s a conditional thing for you. You love it up on the mountain but hate it smothering your driveway. Soft, fluffy, slow-falling, and admired from a serene groomed trail or a frosted lodge window, it’s soothing. As a spitting whiteout maelstrom—or when blitzing downslope as a slab avalanche—it can be terrifying. Certain settings enjoy a combination of atmospheric, geographic, and topographic traits that reliably set the stage for the white stuff—and loads of it. The United States has more than a few world-class snow-lands, easily holding their own with other global hotspots such as the windward Japanese Alps and the most monsoon-pummeled ramparts of the Himalaya. Let’s take a tour of some of America’s true snow factories, from the High Cascades to the Upper Midwest. Snow lovers, eat your hearts out! No doubt about it: the belt of high ranges within spitting distance of the North Pacific between southern Alaska and northern California are almost incomparable kingdoms of snow. The ocean hurls moisture-laden weather systems landward, and whack: They’re hit by steep-rising mountain walls (in the St. Elias Mountains, the loftiest coastal peaks on Earth), dropping a massive payload of rain and snow as they rise upslope and cool. We can’t say for certain how much soggy, heavy maritime snow (“Cascade cement”) typically blankets the remote middle and upper elevations of the Chugach, Wrangell, St. Elias, Coast, and Cascade mountains, but established weather stations hint at the magnitude. There’s no snowier station in the U.S. than the one at Paradise on the south flanks of the Cascade Range’s tallest and mightiest peak, 14,411-foot Mount Rainier. Perched at 5,427 feet, Paradise receives 650 inches or more of snow annually, and has been dumped on with better than 1,000 inches some winters (as in 1955-56). To the north, 10,775-foot Mount Baker—another Cascade juggernaut—gets some 641 inches per year; in the winter of 1998-99, a whopping 1,140 inches fell here. Precipitation (and overall elevation) gently decreases southward down the Cascade Crest, but the high volcanoes studding it in Oregon and northern California are still ridiculously snowy stacks. In the southern Oregon Cascades, the ruined and flooded crown of Mount Mazama, which nestles Crater Lake, is another national snow hotspot: annual average of some 450 inches, and a record snowfall of 879 inches in the winter of 1932-33. We can’t leave out the Olympic Mountains, either, that compact snarl of snowpeaks wedged between the Puget Sound, the Strait of Juan de Fuca, and the open Pacific. Mount Olympus, the massif crowning the range on its west side, makes as good a snow bull’s-eye as any peak in the Lower 48: only 30-some miles from saltwater and rising 7,965 feet at the head of multiple rainforest valleys draining seaward. Mount Olympus likely sees at least 500 inches of average annual snowfall, which helps feed its (retreating) glaciers—some of the lowest-elevation at this latitude in the world. “Snowy mountain range”: the apt, straight-to-the-point English translation of Sierra Nevada. The Sierra belong to the same cordillera of Pacific ranges as the Cascades to the north, and they similarly milk maritime weather systems of lots and lots of snow. In winter, elevations above 6,000 feet commonly see 30-foot snowpacks. In a typical winter, the range sees the heaviest snowfall between Yuba and Sonora passes. Average accumulations of more than 400 inches define many of the ski areas in this northern and central sector of the Sierra, including Squaw Valley and Sugar Bowl. Farther south, though, the lay of the land gives the Mammoth Lakes area a comparably snow-swaddled microclimate: The upper valley of the San Joaquin River forms a significant break in the Sierra Crest, forming the perfect conduit for Pacific air and allowing much heavier precipitation on the east slope of the range than is otherwise normal. Mammoth Mountain sees some 350 to 400 inches annually. Utah’s powder, of course, accounts for some of the most celebrated snow on the planet. And powder doesn’t come more elite than that coating the Wasatch Mountains. Steenburgh’s The Greatest Snow on Earth celebrates and dissects the mechanics behind the Wasatch snow factory, which reaches its zenith in the central part of the range in Little Cottonwood Canyon. Little Cottonwood opens to the Salt Lake Valley, heads in the most extensive fortress of high peaks in the Wasatch, and lies at the crossroads of multiple regional storm tracks. 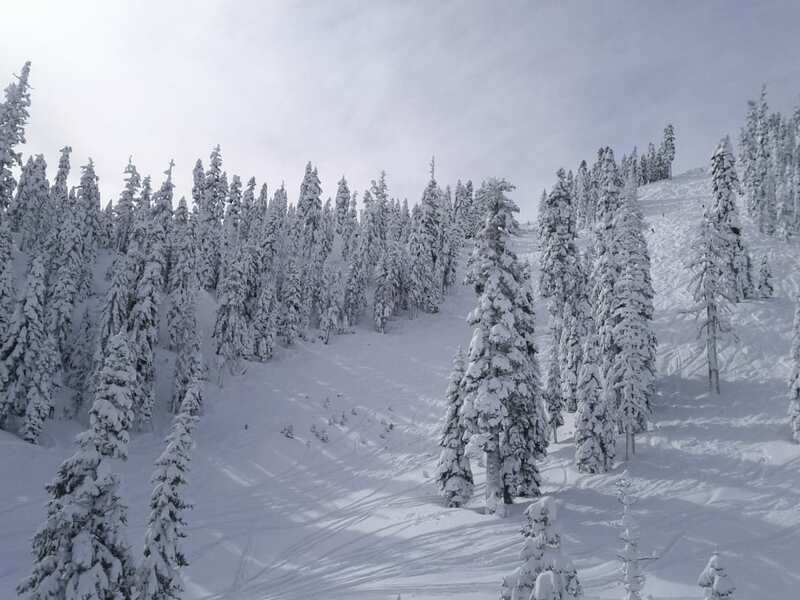 The Alta resort—snowiest incorporated community in the U.S.—gets 500 inches or more snowfall a year, while better than 600 inches probably falls at higher elevations here. The Southern Rockies of Colorado receive even drier powder than Utah’s Wasatch, though in somewhat lesser quantities. Among the state’s great snow factories? The San Juan Mountains, the biggest individual range in the American Rockies and the largest swath of alpine country in the Lower 48. 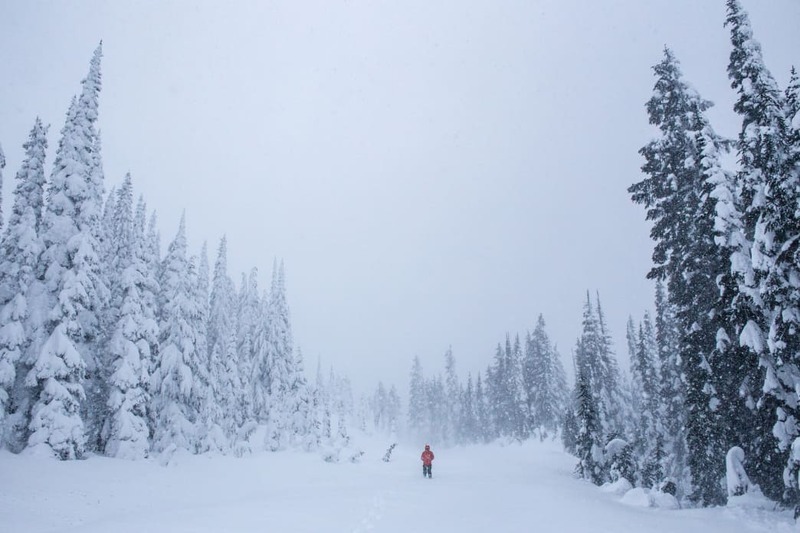 Southwesterly wintertime storm tracks hauling warm Pacific air hit the burly San Juans first, to predictable effect: Wolf Creek Pass at 10,050 feet boasts some 435 inches a year, and accumulated an incredible 70 feet in the winter of 1978-79 alone. 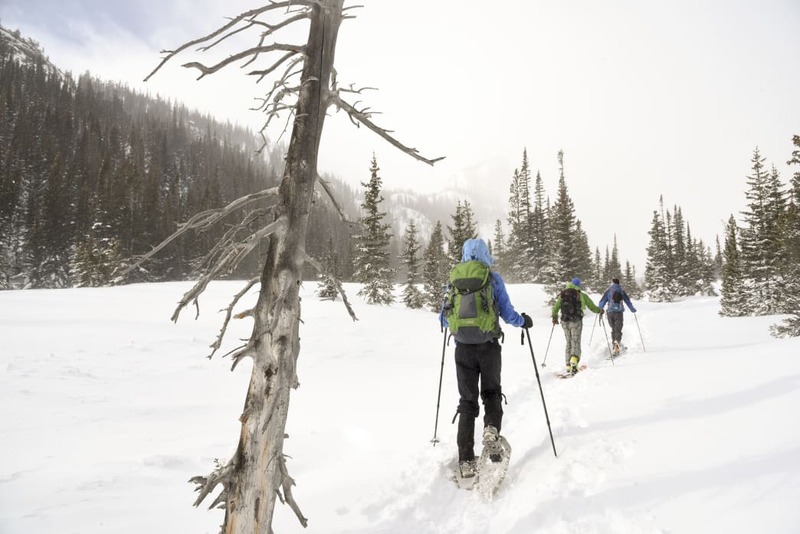 Wyoming ain’t no slouch when it comes to high-country snows, either. Burgess Junction in the Bighorn Mountains, for example, sees nearly 260 inches a year. And you’ll find another of America’s standout snow factories in the Yellowstone Plateau, courtesy of the Yellowstone Hotspot. As the North American tectonic plate overrode it, this volcanic center blazed out the Snake River Plain and, ultimately, the magma-swollen highland of the Yellowstone Supervolcano it’s currently fueling. Particularly in winter, the flat chute of the Snake River Plain gives Pacific weather systems one big ramp up to the 8,000-foot-plus pedestal of the Yellowstone Plateau. Consequently, Yellowstone’s a place of cripplingly long winters and grand blizzards: The Bechler Ranger Station in the soggy southwest of Yellowstone National Park claims some 262 inches of snowfall a year, and the higher mountains on and around the Plateau likely see several hundred more. Just to the south, the Teton Range—also in the lee of the Snake River Plain—is another of those Rocky Mountain provinces auspiciously poised for heapfuls of snow. Winter airmasses ascend the gradual west slope toward the high, craggy Teton crest, dumping as they go. Some 500 inches of prime powder heap the Grand Targhee Resort on the windward Teton flanks. Average annual snow accumulations of 140 inches are common in the Great Lakes snowbelts, and some areas see much more. On the order of 150 to 200-plus inches of the white stuff pile up yearly on the highlands of Michigan’s Upper Peninsula—such as the Gogebic Range, Porcupine Mountains, Huron Mountains, and the rugged heights of the Keweenaw Peninsula—where storms primed by Lake Superior moisture ride up more than 1,000 feet of elevation in places. 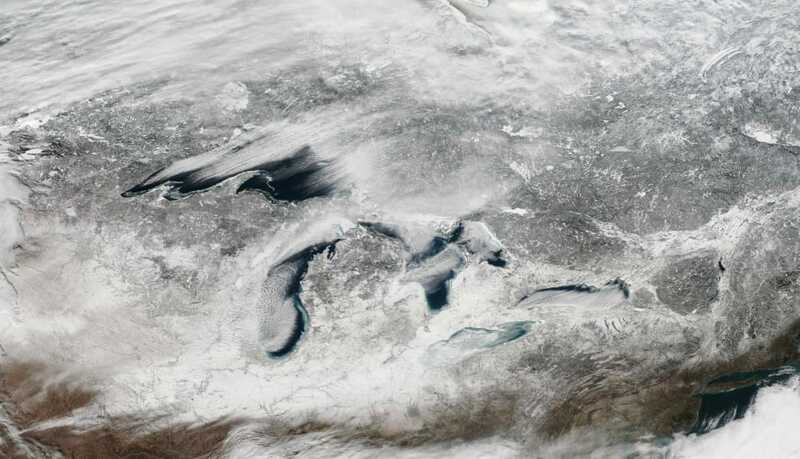 Almost 400 inches fell on the Keweenaw—the U.P.’s northernmost prong—in the winter of 1978-79. Downwind of Lake Ontario, meanwhile, Upstate New York’s Tug Hill Plateau forms another legendary snow factory: some 214 inches annually, and sometimes more than 400. Along with the Great Lakes snowbelts, the mountains of New England make the other champion snow factory of the East. The region hosts a lot of back-and-forth among different air masses, lies at the intersection of numerous storm tracks (including those howling Nor’easters), and can have moisture streaming in from the Great Lakes/St. Lawrence Valley, the Gulf of Mexico, and the Atlantic. 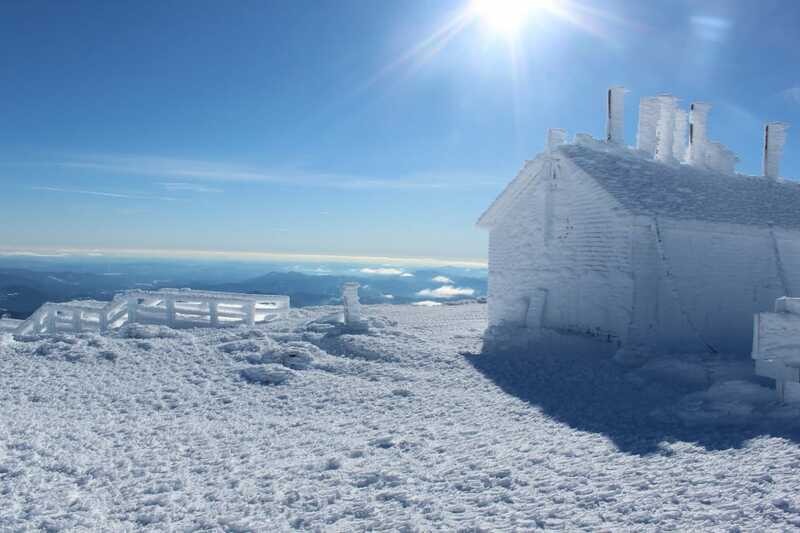 And whaddya know: Mount Washington—the tempestuous 6,288-foot pinnacle of New Hampshire’s Presidential Range, the loftiest summit in the Northern Appalachians, and “Home of the World’s Worst Weather”—takes the cake with an average 282 inches of yearly snowfall, and sometimes a great deal more: 566.4 inches, to take the most extreme example, in the winter of 1968-69. Mount Washington’s wicked winds tend to drive a lot of that snow into the huge cirques of Tuckerman and Huntington ravines, esteemed for their snow- and ice-climbing but also notorious avalanche hotspots. Written by Ethan Shaw for Knockaround.